Perfect for small, indoor parties. This machine will give you about 50 servings per batch, based on a 4 oz. (1/2 cup) serving. The freeze time is a minimum of 1 1/2 hours. It plugs into a standard 15-amp plug and is portable. Available flavors are vanilla and chocolate. 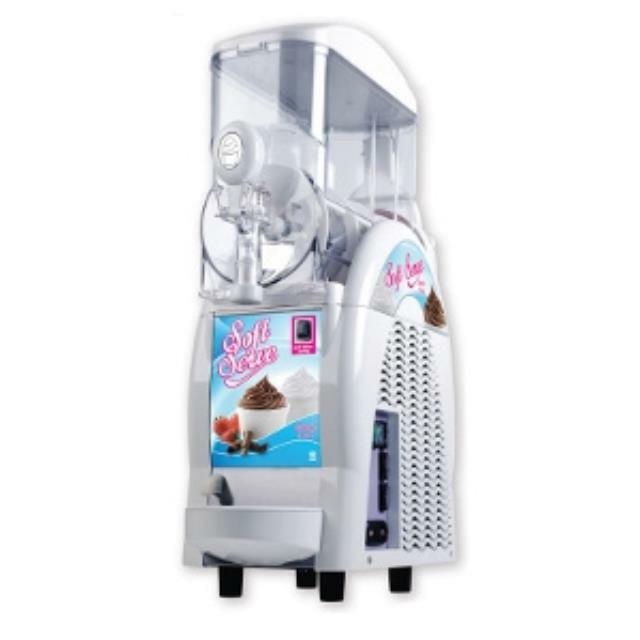 * Please call us with any questions you may have about our ice cream machine soft serve 1.5 gal in Palatine, Barrington, Arlington Heights, Inverness, Long Grove, Lake Zurich and surrounding communities in Chicagoland.